Purim is one of the most, if not the most, joyous and fun Jewish holidays. While it may not pack the house like the High Holy Days, it is a celebration full of laughter, humor, and tomfoolery. We play games at carnivals, dress in costumes and pretend to be someone else, scream at the top of our lungs drowning out the name of evil and hate, and eat hamantaschen, triangle shaped poppy seed- and fruit-filled cookies. Unfortunately though, for many Purim has become an excuse to drink alcohol. The initial read of the Talmud suggests that one should get so drunk that he should not be able to tell the difference between good and bad. With this rabbinic mandate in mind, many Purim celebrations include glasses of wine, bottles of beer, and shots of vodka. For many in our community, alcohol will be present at our Purim celebrations. I am not opposed to the presence of alcohol on Purim. In fact, using alcohol as a way to celebrate is a key part of many of our holiday celebrations and rituals. We make kiddush over a glass of wine (or grape juice). We have four cups of wine at the Passover seder. Wine is often the agent for sanctification during many lifecycle events, including a brit milah ceremony and a Jewish wedding. The sweetness of the fruit of the vine allows us to appreciate the sweetness of the sacred moment. I have no problem with that. What I take issue with is when one misinterprets rabbinic literature and uses it as an excuse for drunken debauchery. 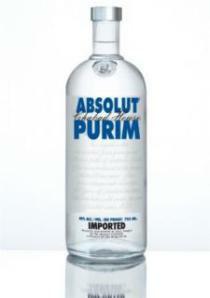 Purim is not an excuse to drink excessively. Drinking to the point of not knowing the difference between Mordecai and Haman, between good and evil, and thus, drinking to the point of making bad decisions and poor choices, is not a way to celebrate God’s sanctity. Rather, it is a desecration of God’s majesty. Judaism cannot and should not be an excuse to “party hard.” There is nothing holy about that! Additionally, we must look inward at ourselves as a community to see how our actions reflect our mission. One of the missions of the Jacksonville Jewish Center, spearheaded by the Keruv Task Force, is to be an inclusive community for all those who walk through our doors. Our goal is to be a spiritual center where all those in our community can find support. When it comes to alcoholism and addiction in the Jewish community, too many are in disbelief and denial. However, addiction is just as big of a concern in the Jewish community as it is throughout the country. If our goal is to embrace all members of our community as they are, then we cannot put up barriers to entry. Making alcohol a central part of our ritual and suggesting that the act of drinking is a religious act is a barrier to entry for all those in our community who suffer from addiction. How do we as a community embrace the holiday celebration without overemphasizing the celebration? It begins with emphasizing the truly sacred moments of the holiday: coming together as community to appreciate the miracles in our lives. On Purim, we thank God for the miracles that happened in Shushan, as well as the everyday miracles in our lives today. We celebrate God’s presence in this world and how we act as God’s messengers. While God’s name is not mentioned a single time in the Book of Esther, Esther acts as God’s messenger, standing up for her own rights as well as the rights of those around her. This is what we celebrate on Purim. If one drinks too much, then one may not appreciate those miracles all around us. To appreciate those miracles around us is to appreciate life. That way, next time we say L’Chaim, we can really mean it. This blog post was originally printed in the March 2014 edition of the Jacksonville Jewish Center’s Quarterly Magazine, Center Pieces. The entire publication can be viewed here. This article was originally published on February 26, 2014, by Haaretz. The full article can be found on their website here. The Michael Dunn case shows that the world will only become a better place when we learn to embrace the other and stop being quick to pull the trigger. 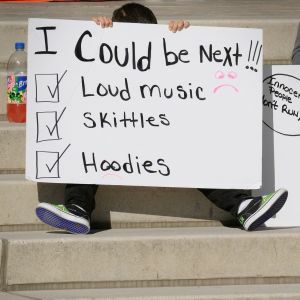 On November 23, 2012, while parked at a Gate Gas Station in Jacksonville, Florida, Michael Dunn shot into the Red Durango SUV parked next to him, murdering 17-year-old Jordan Davis. Dunn claimed that after asking the four African-American teenagers inside the car to turn down the blaring music, he was threatened by one of them, Davis. He testified that he believed that his life was in danger and that he thought Davis had a shotgun, so he began firing. As the SUV backed up and sped away, Dunn continued to fire and then fled the scene. He claimed self-defense, but never called the police never found a weapon or firearm in the Durango. All they found was Davis’ slain, lifeless, teenage body. Michael Dunn was convicted last week of three counts of attempted second-degree murder for firing at the three teenagers who were in the car with Davis, but, controversially, the jury was hung when it came to a first-degree murder conviction for shooting and killing Davis. Dunn will be going to prison for a long time, but many feel that with a mistrial, there is no justice for the unarmed teenager’s parents. This trial received national attention because of Florida’s controversial “Stand Your Ground” Law, which allows an individual to shoot first if he feels his life is in danger. Stand Your Ground represents a disturbing mindset: if one fears for his life, he can start shooting. This is particularly worrying when considering that fearing for one’s life can arise from an unwarranted fear of those who are different from us. I do not believe that Dunn’s life was actually threatened. I believe he saw a teenager talk back to him – which is standard practice for teenagers – and he felt threatened. I believe he felt threatened because Davis looked different than him and listened to different music than him – music that he associated with threatening people. The Dunn case shows us that when the law allows a person to respond to his subjective feeling of fear with an action that can take the life of another person, tragedies occur. Jewish law teaches that when threatened, we must defend ourselves. However, Maimonides clearly teaches in Mishneh Torah Hilkhot Rotzeach 1:13 that one must not use excessive force when doing so. If he does, then he should be judged as a murderer. When it comes to Stand Your Ground, how can we define “excessive?” Must the force match that posed by the threatening opponent? Must it overcome the other’s force, so as to quell the threat, and, if so, how do we measure having gone to far? Stand Your Ground provides no definitive answer. Perhaps the answer is not in how far we must go to defend ourselves in order to quell the threat, but rather how to avoid being unwarrantedly threatened in the first place. The Torah teaches us to respect all individuals and to embrace them. The commandment to welcome the stranger – to embrace those who are different from us – appears more times in the Torah than any other commandment. We are taught that each of us is made in God’s image and, thus, we must recognize the Divine spark in each individual; we must care about every life. Perhaps if we were more focused on embracing the other, we would be less likely to fear them. These teachings do not stop at the level of the self. Hillel, in Pirkei Avot 2:4, teaches that we must not separate ourselves from the community. When one child dies by the bullet – regardless of the color of his skin, the music he listens to, or where he lives – we all must take a stand. We cannot sit and watch the media report about this tragedy and refuse to do all that is in our power to limit future casualties of gun violence. 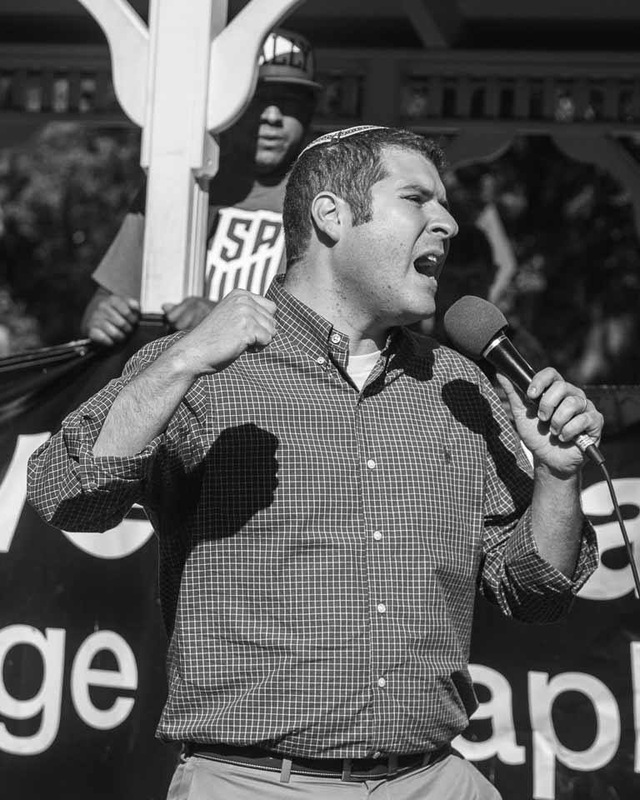 We cannot study Torah and ignore the Torah’s call for justice. We have an obligation, as God’s partners in creation, to save lives. As we learn in the Talmud (Sanhedrin 37a), if we save a life, we save an entire world. But if we let even a single life be destroyed, we destroy an entire world. Stand Your Ground is ending too many innocent lives; it is destroying this world. It’s time for us all to stand up to Stand Your Ground.